This is my 4th one. No more digging for keys. No morrle having people using my cabin saying they lost the key. I had a different brand with a battery and it was so unreliable. Never a problem with these. Well designed and constructed. Good value. 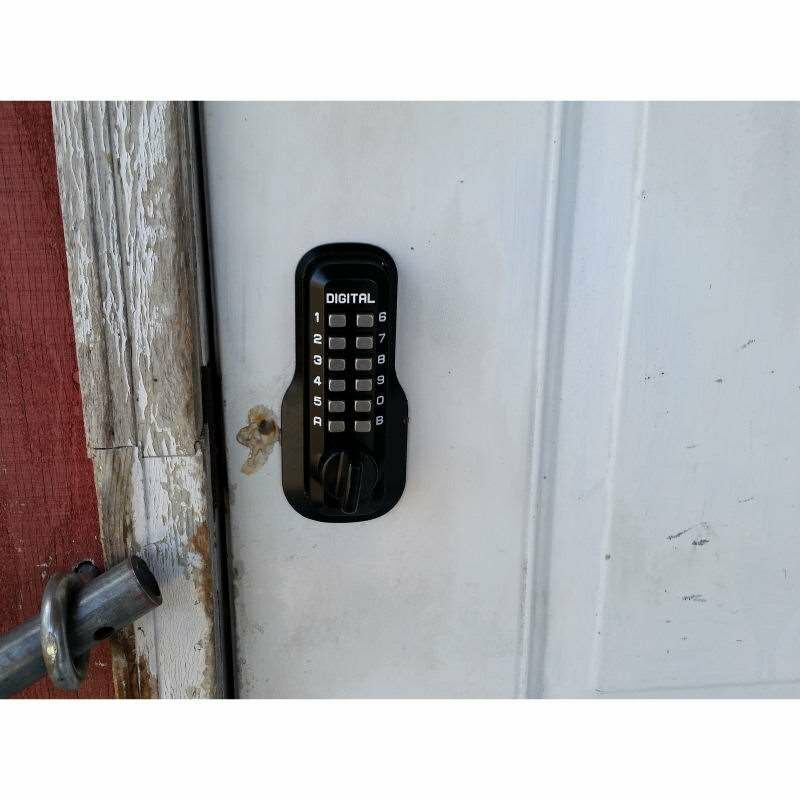 My lock is in and works perfect on my Tuff Shed. Had to make some modifications to the door. But it’s all good. 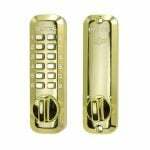 I am disabled in a wheelchair and the original lock with a display door code that was 6 volt AA battery operated was hit and miss. 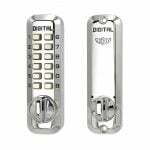 More than often it required a key to open the door after it beeped too many times when my attendants tried to come in to assist me. It was a bad design from Garrison and a older model that my local Canadian Tire store had in stock at the time. 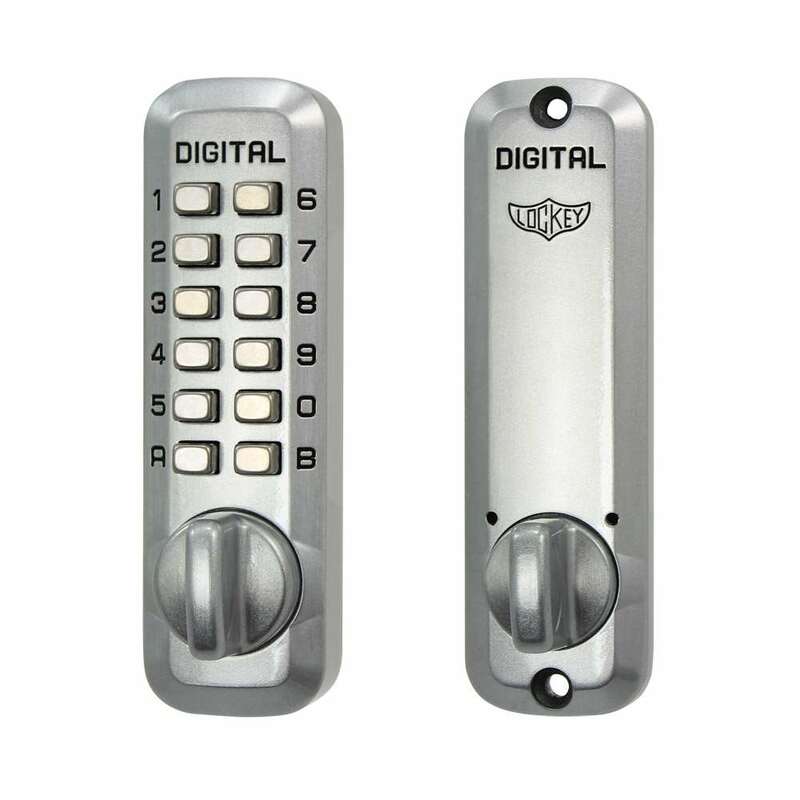 It looked like the Weiser coded entry door lock and caused a lot of problems with the code display, so I wanted something a lot more reliable with a foolproof 4 digit code where the buttons can be pushed in any order. 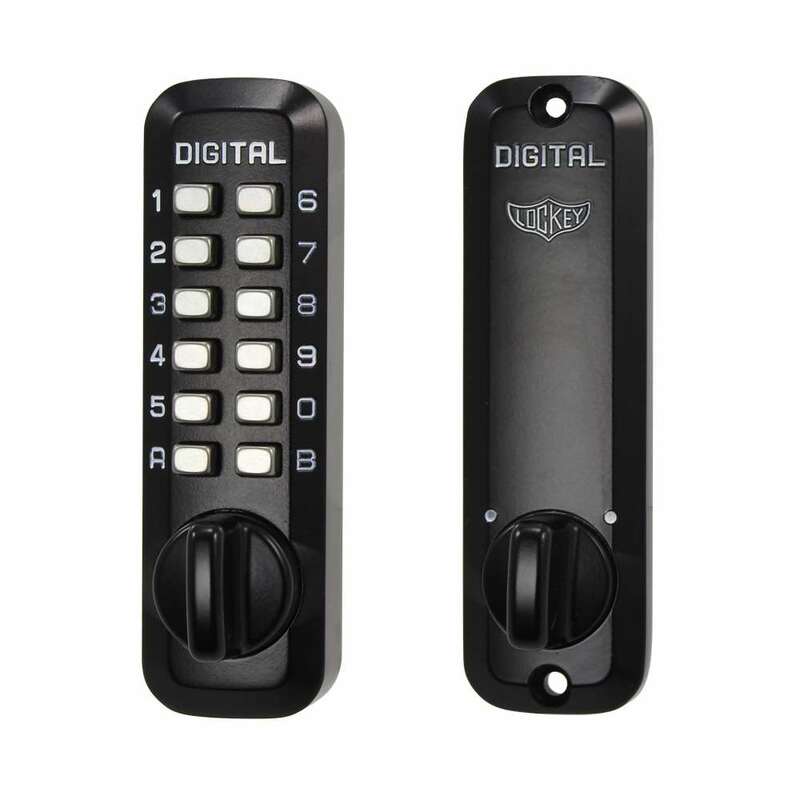 I decided to replace the Garrison door lock with a more simple form, and searched on line until I found a suitable coded door lock GO KEYLESS) that is reliable and anybody can use it without any problems. 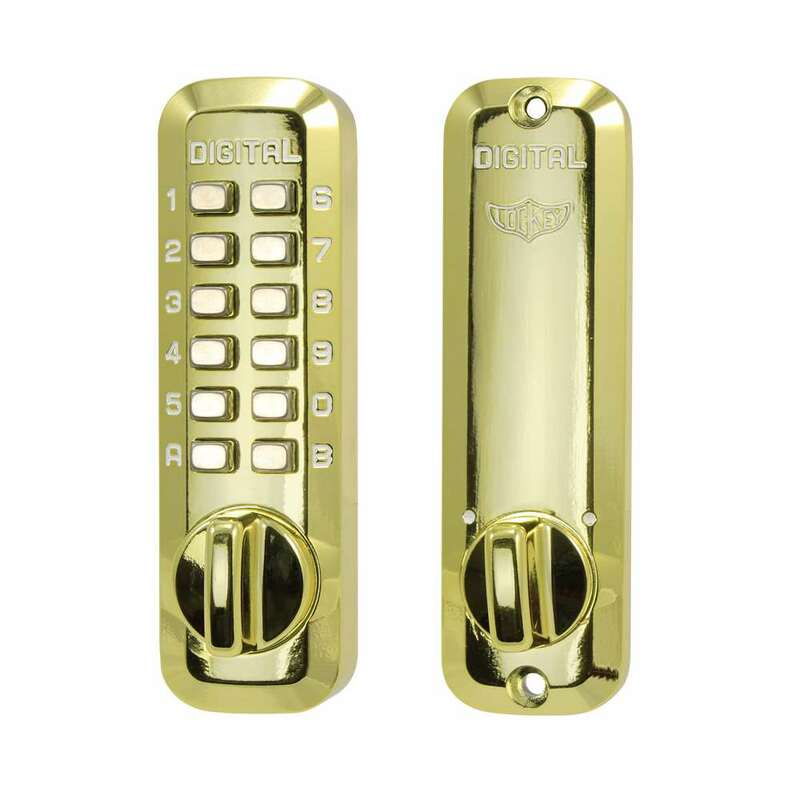 I hired a professional locksmith to instlall it and test the installation to make sure that the code i selected was reliable, since some parts inside the lock had to be rearranged for the door code I selected, so I didn’t want to screw it up being a novice and disabled at the same time. 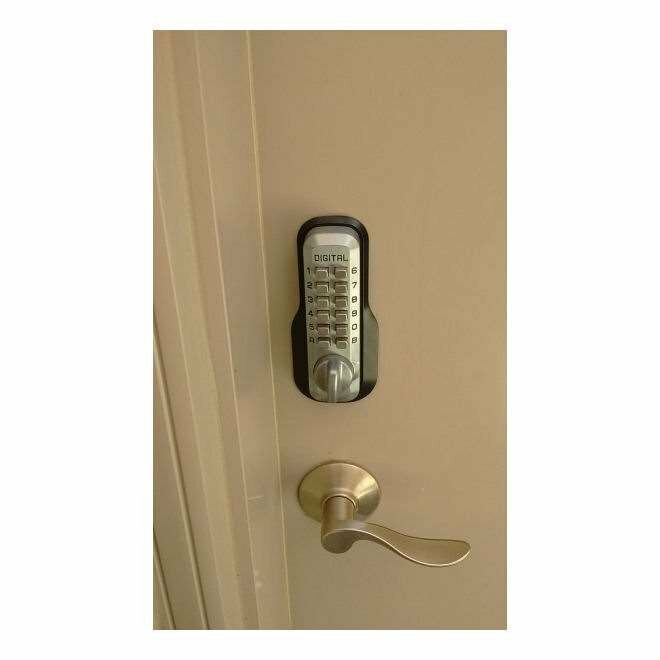 I need this kind of simple mechanical door lock in case I ever need to call 911 LiftAssist if I fall down, or an ambulance to take me in an emergency to the hospital. 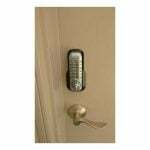 At least now I can give 911 ta reliable door code over the phone, so the ambulance attendants wont break my door down tryiing to get to me in an emergency. 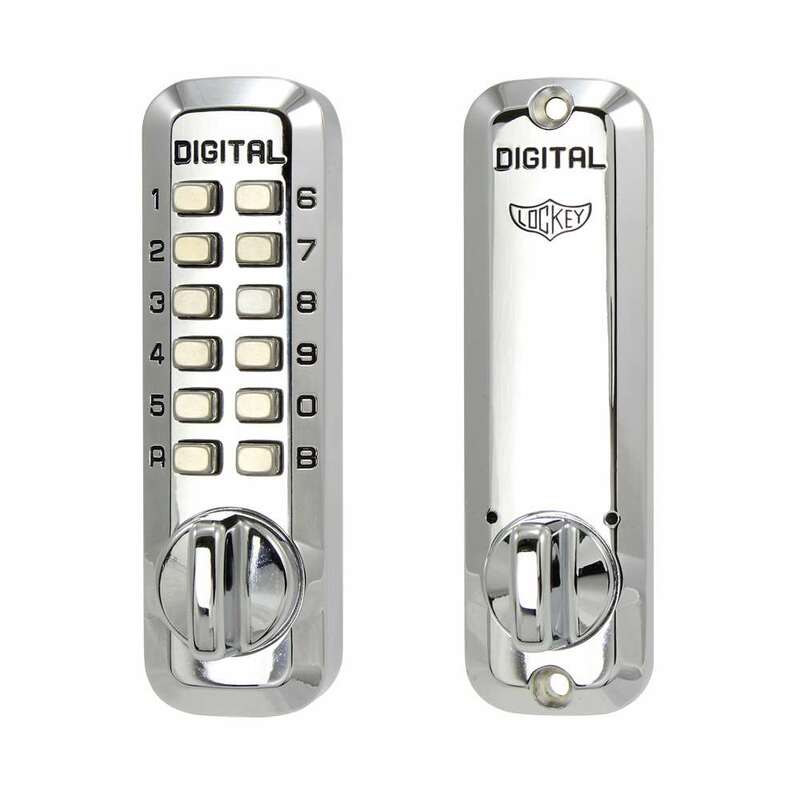 Very good experience so far with this kind of lock. I approve it. AND ADDED TWO TO THE DOORS. We bought 2 of these locks. We live in the Florida Keys on the ocean where the environment is very harsh. 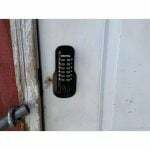 When Hurricane Irma completely destroyed our garage and sent our locked door sailing in the front yard, we were able to reuse the lock again when we rebuilt. Our other locks were destroyed. 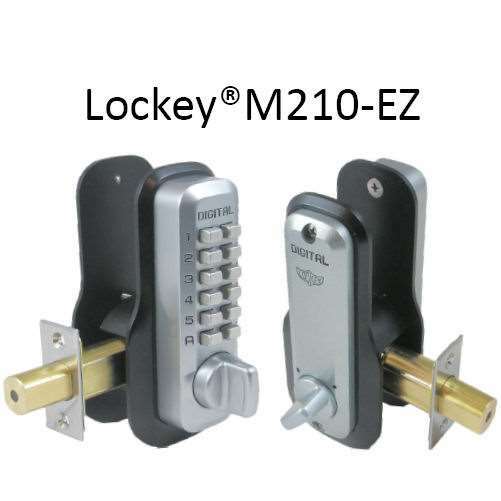 this is a SMALL but solid secure lock…takes sometime to install, used small 1 7/16″. Thought it would be difficult to set entry code, EASY to do and understand…WHAT’s takes time is removing the lock to change the code numbers, reinstall. Price quality and outdoor usability are well balanced; would buy again. We ordered the unit based on the picture and industry standard for satin nickel. It is 10 shades darker. 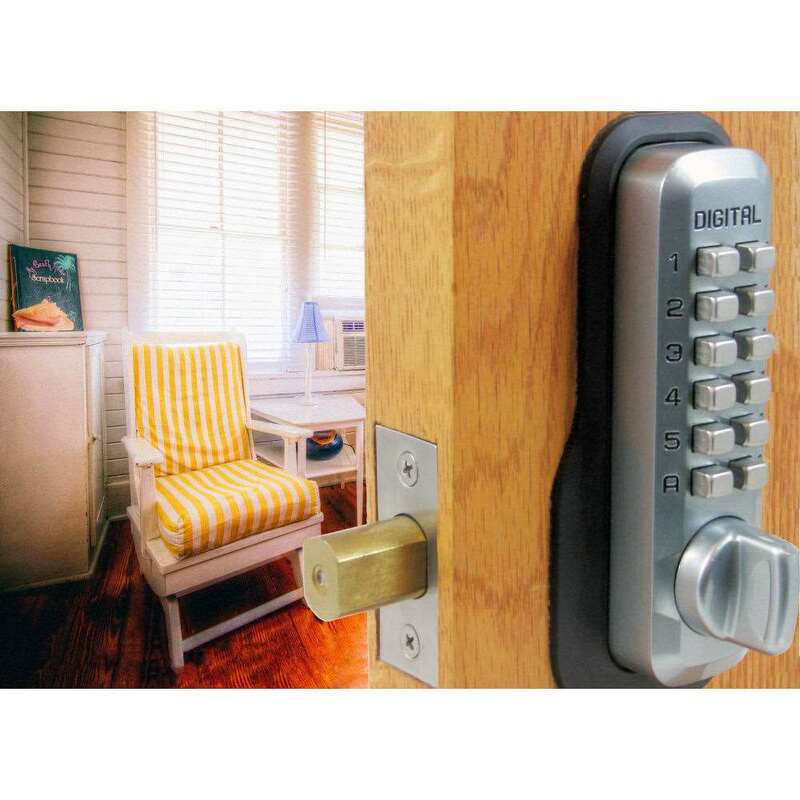 We have ordered 5 locks previously and installed 2 in a friends house which totals 7. 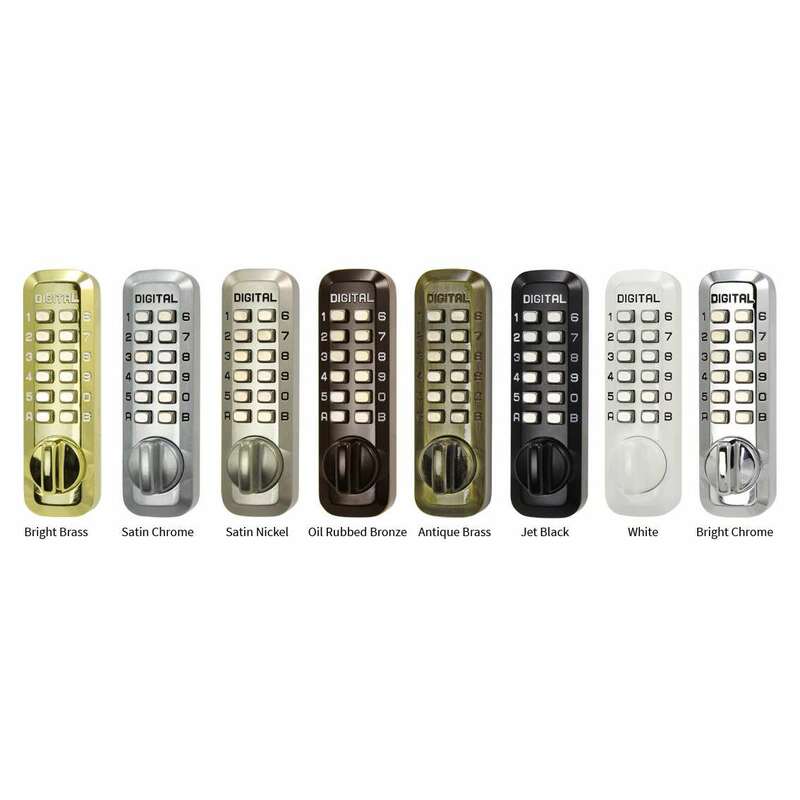 All the locks are mechanically sounds and work well. Be sure that the color matches or you will be stuck with it. I bought two of these locks to place on wrought iron gates in front of a building I own. The previous key locks frequently didn’t work when there was sleet and freezing temperatures. So far they’ve worked great. They are sturdy and have worked perfectly in all types of weather, including sleet and bitter below 0 cold. I would buy them again and recommend the lock highly.